All aboard! The next stop on the Six Days of Bum Wine Christmas is the Night Train Express! Taking a ride on the train this time of year is always risky, but who can turn down a ride like this? 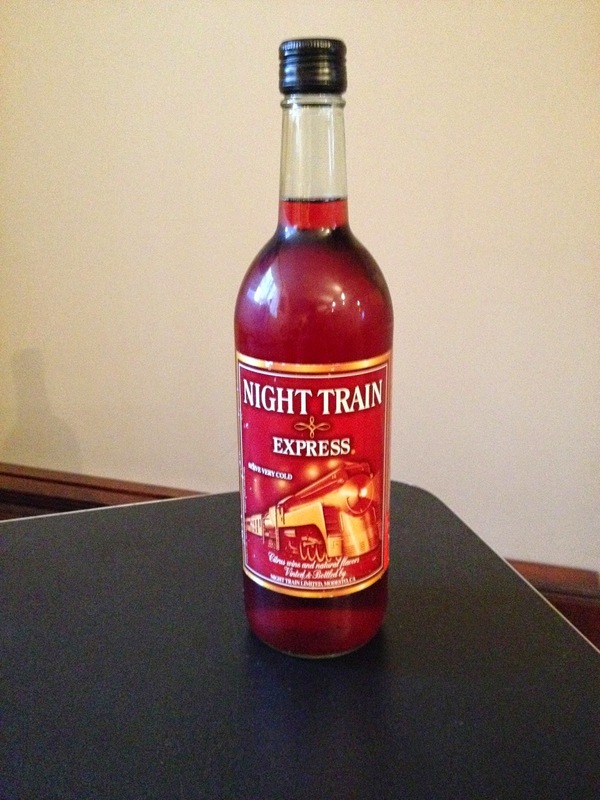 Grabbing a few bottles of the Night Train Express before your next holiday gathering is guaranteed to make things interesting, so why not get your tickets ready and hop on board? Always remember to drink responsibly. You don't want to be the guy or girl that has to let some passengers off before opening presents and eating dessert. Don't think you can handle a ride on the train? A fine Night Mist concoction is always a worthy substitute. 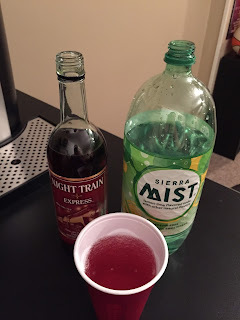 Mix up a concoction and enjoy! Remember to tune in LIVE this Saturday (time TBD) to the special "A Very Bum Wine Christmas" bumcast! We will be throwing a rocking bumwinebob.com holiday party as we celebrate the Christmas season with a special Christmas Eve podcast! Grab a drink and join the party! Cheers! 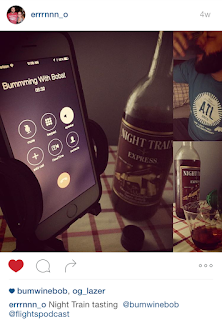 Listen to "A Very Bum Wine Christmas" on Spreaker. Loved the article. I live in the UK. Is there any way I can buy this and get it shipped over?